Brad Toulouse "The Art Of Illusion" Magician!!! Since 1980, The Art Of Illusion has been providing its unique brand of Magic Comedy and Psychic Entertainment throughout Southwestern Ontario! 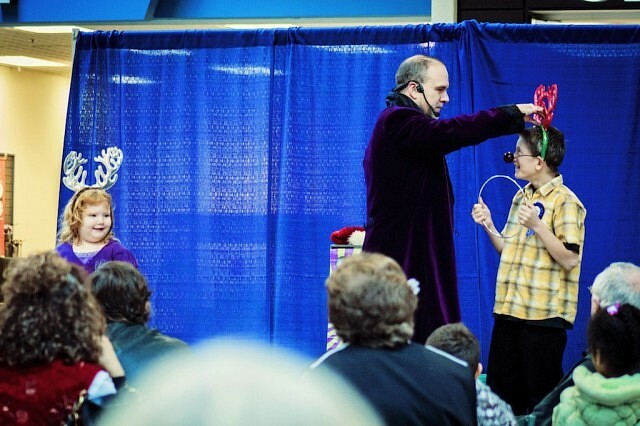 Magician Brad Toulouse is known for blending humour, magic, and audience participation in order to create once in a lifetime experiences for audiences of all ages and all sizes! But don't worry....Brad's performances are also designed so as not to break your entertainment budget! Read on to see the various types of entertainment experiences The Art Of Illusion has to offer! I was sceptical at first, but amazed at the end, wonderful show for adults. Brad arrived early in order to unpack all of his stuff and was very well prepared to make changes on the fly. He performed for a birthday party of 10 children and managed to work each of the children into his act as an assistant. They roared with laughter throughout the entire show and were thoroughly entertained. I would highly recommend Brad for any event as he was engaging, professional, and a wonderful performer! A WORLD OF MAGIC AWAITS! 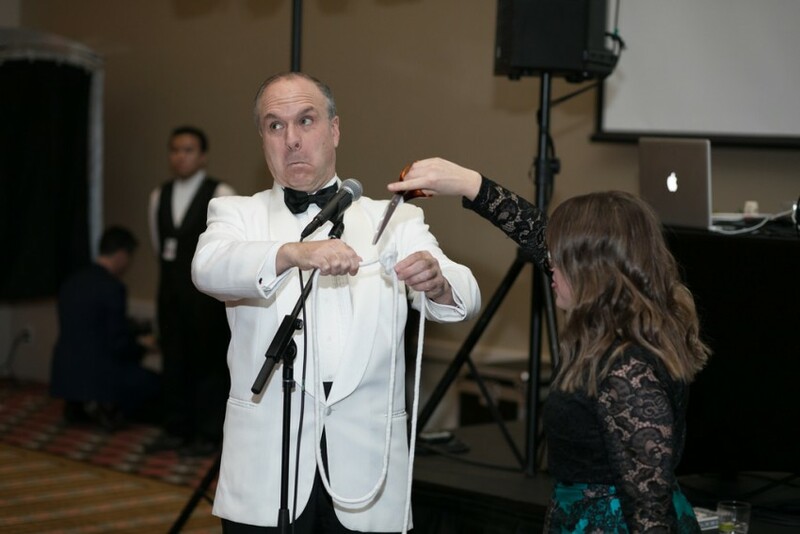 Magician Brad Toulouse has refined his style over the years as a Comedy Magic Entertainer, enabling him to create a variety of performance opportunities for a variety of clients. However he guarantees this: no matter what type of entertainment experience you choose, Brad's performance will leave a lasting impression on your guests that they will talk about long after it's over! 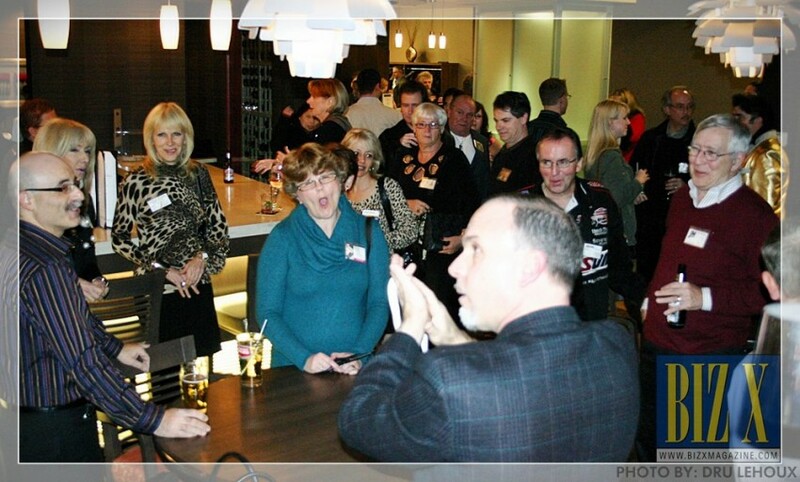 * Motivational Magic as a Meeting Energizer for your staff? Professional Magic Entertainer Brad Toulouse, of “The Art of Illusion” brings over 30 years of experience in professional magic entertainment to you! Brad enjoyed 4 years as a featured entertainer at Detroit’s Motor City Casino, 2 years as a featured entertainer at Caesar’s Windsor-Nero’s restaurant, as well as performing literally thousands of shows for a variety of clientele in Southwestern Ontario, and the mid-west United States. Brad knows the “business” of entertaining and is ready to fulfill your entertainment needs with his award winning Comedy Magic & Psychic Entertainment! ​With shows like Penn & Teller’s “Fool Us” and magic entertainment being featured regularly on “America’s Got Talent”, magic is enjoying a resurgence in popularity! And….adults love seeing magic performed live even more than on television and social media (no camera trickery when it’s live!!) Booking The Art of Illusion ensures that your event will feature world-class entertainment designed to amaze and astonish your clientele and guests! Close-up magic (also known as micro magic or table magic) is magic performed in an intimate setting, usually no more than ten feet (three meters) from one's audience and is usually performed while sitting at a table. Close-up magic can combine sleight-of-hand manipulations with flourishes, and is called "Cardistry." 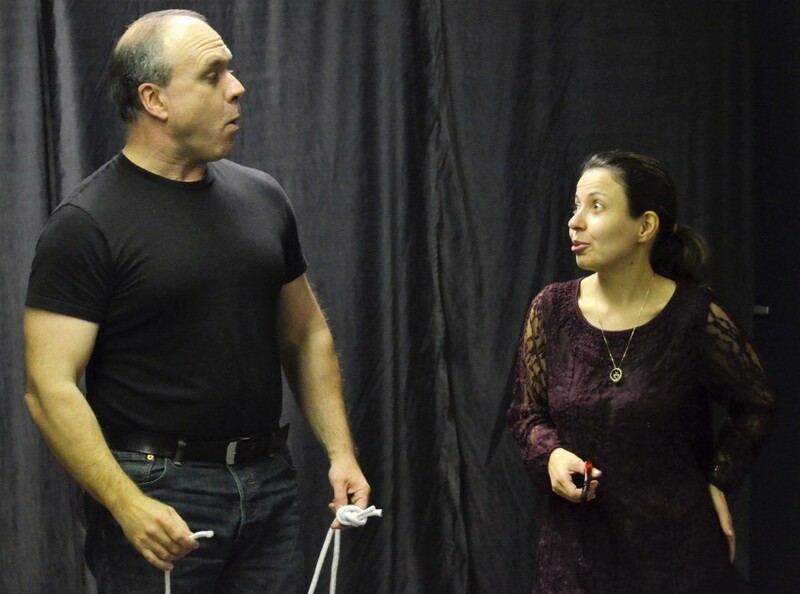 Brad Toulouse is known for his impeccable strolling close-up magic skills, bringing people together as he performs up close and personal for small groups as he moves throughout the room. Art of Illusion close up magic performances are perfect for conference and trade show receptions, wedding receptions, holiday staff parties, and any other cocktail style event. The key to entertaining children? And Brad Toulouse is a master of this! Brad is certainly not above being silly with the kids, all the while captivating them with his wonderful brand of interactive magic! Children love to participate in magic shows, and Brad knows that some of the most memorable moments in his performances occur when his little "magic helpers" literally steal the show with their hijinx and hilarity! Birthdays....Anniversaries....Special Family Events....let Brad Toulouse join the celebration with you!! If you are looking for a seasoned magic professional....someone who has tons of experience entertaining audiences of all ages....a performer who has been featured across Ontario at festivals, libraries, churches, and many many special events....let me introduce you to me BRAD TOULOUSE and my entertainment company THE ART OF ILLUSION. Since 1980 I've performed professionally as a magic entertainer, specializing in comedy magic filled with audience participation! I've done it all, close up, stage, illusions, mind-reading....if it's magical it's my specialty! I'm also well respected in the magic community, holding the position of President of the Windsor Magic Circle, and am a member of the International Brotherhood of Magicians! I am so confident in my skills I offer a 100% money back refund if you are not satisfied with my performance! Recent review: It was an amazing experience. Great manage of audience. A funny show.